Ms. Michelle Bachelet is the first Under-Secretary-General and Executive Director of UN Women, which was established on 2 July 2010 by the United Nations General Assembly. UN Women advances women’s empowerment and gender equality worldwide in partnership with governments, civil society, the private sector and the UN system. 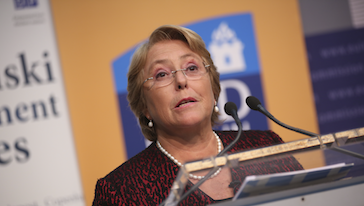 Prior to UN Women, Ms. Bachelet served as President of Chile from 2006 to 2010. She also held ministerial portfolios in the Chilean Government as Minister of Defence and Minister of Health. Ms. Bachelet is a long-time champion of women’s rights, and has advocated for gender equality and women’s empowerment throughout her career. 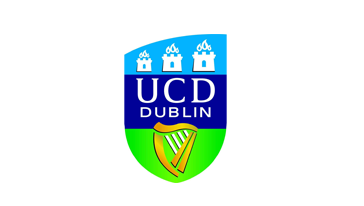 Watch video from the Kapuscinski development lecture of Michelle Bachelet at University College Dublin "The century of inclusion and women's full participation". Follow also live another new Kapuscinski lecture with Kevin Watkins on inequality on 5th March: http://kapuscinskilectures.eu/lectures/inequality-as-barrier-to-human-development/. Text of the full speech (check against delivery). The lack of trust in leaders and the urgent challenges of poverty, inequality, conflict and climate change demand a new model of leadership and development. The 21st century is the time for inclusion and women’s full and equal participation. An effective post-2015 development agenda requires a focus on promoting human rights, ensuring public participation and tackling structural inequalities.